The Bayer that they carry at my Lowes is the "Complete Insect Killer For Soil and Turf" which has Imidacloprid and something else instead of the "Home Pest" one that OUSnakebyte wrote about. Seems like the folks on the reef central thread that he has worked on say that both seem to be effective. Does Home Depot have the other kind? I have to check. I bought a bottle of it not too long ago. I checked against Mike's slides from my phone as I looked at the product, and it was the same. So, yes, HD has the right stuff. At least they had the right stuff at the time. I'll try to take a picture of the label tonight (if I remember!). Here is the stuff that Lowes has right now. It isn't the same as Ousnakebyte's talk, but some folks on the RC thread say it works the same. Tom, is this what you use or do you use the Home Pest stuff he used? i wish interceptor would get back on the market just to have an in tank option in case i ever get those buggers again...had them in an old 75g and then got to plague proportions (this was back in 08 or so) and two treatments of interceptor and i never saw them again. OK. Will go look at HD too. I found the Home Pest stuff but that was last summer. I have montipora eating nudibranchs. They are tiny and white but definitely nudibranchs. I dip EVERY coral that goes into my tank with Bayers insecticide. I started noticing the nudibranchs all at one time one my encrusting, plating, and branching montiporas. I have tried fresh water dip, Coral RX, and Bayers insecticide. Nothing seems to be working yet. Any ideas? Was thinking of trying flatworm exit as a dip? Any thoughts? The coral survived a fresh water dip? I would try that again. Flatworm exit didn't work on the monti nubies I had so I wouldn't waste money on that. The Coral RX worked as well as tank water with iodine it. Those two dips done for about ten minutes every week for four weeks worked. Manually remove what you can see and superglue over any eggs you see. if im not mistaken, bayer did not work on monti nudi's according to OUSnakebytes tests. i could be wrong but i thought i remember it not working on them. So far in my tank the nudis are kind of controlled by physical removal. I have a theory that the blue leg hermits I have are eating them because their nudi number doesn't really grow and the hermits are spending a lot of time on the monti caps, but I can't say for sure. Maybe they are just picking the algae that grows on damaged coral edges where the nudis have been. I brought some home from a friends tank once to try Bayer on them and they didn't really die. It was moving for a while in the dip. Not sure how much I used, I can't remember. Coral Rx pro works good on them from what I remember. At home I have Bayer, Coral Rx, and RPS All Out. Next time I get one in a turkey baster I'll put it in some RPS All Out to see if that does it since it hasn't been mentioned here. FWIW the dragonface pipe fish is reported to eat red bugs well. Of course, they are hard to keep with their finicky diet, at least once they've wiped out the red bugs. wow very good thread. I will keep this thread just in case I run into this issue. So do some wrasse, but I wouldn't consider it an effective approach. Interests:Piña coladas. And getting caught in the rain. I did a little write up on how I got rid of aefw for someone who pm'ed me looking for help so I figured I would post it here for anyone who needs it. I noticed no one has posted anything this in depth here. 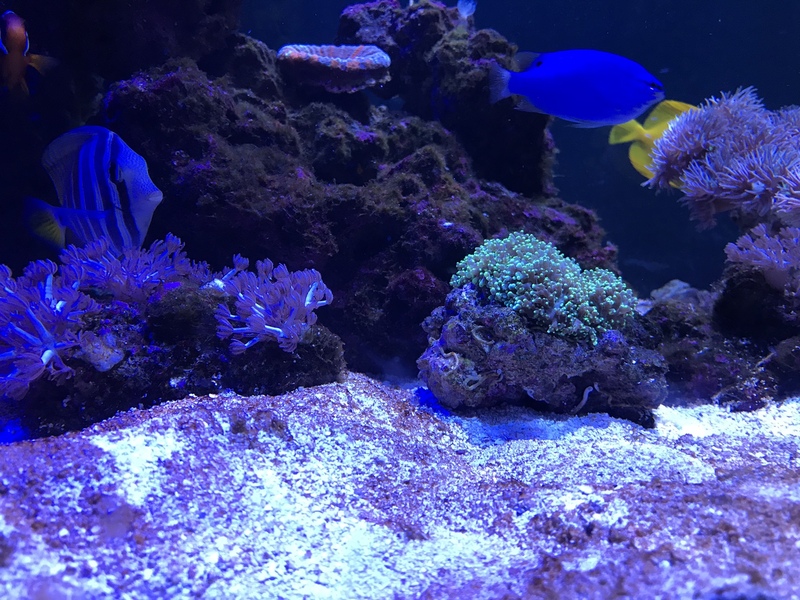 First make sure there are no acros encrusted onto any rock in the tank so aefw can't lay eggs and feed off it while your dipping, either putty over them or scrape them off if small enough. Dip for 5 weeks or more depending on the infestation. Really 4 weeks should work if everything works perfect but the odds of that are slim. Do NOT skip any time between dips. In fact I like to dip every 6 days because I have found eggs after waiting 9 days between dips. Dip every acro (mille are acros, stylos, monti, birdsnest pocci and such are not and don't need to be dipped) with a good dip. I used revive and melafix and switched each week. Melafix is the best, it's mild and easy to see what happens in the dip bucket. I forget the dosage but just check online. Bayer is too hard to use because of rinsing and visability but it works. You want to make sure the process is easy. When you dip every acro you also have to inspect every part of the corals and bases for acropora eating flatworm eggs. Most of the time they will be on the edge of the acro or on a dead part that's freshly eaten. Scrape them off or glue over any eggs you see. Do this after your dip in the rinse container. Aefw will also be easier to see after all this has happened. If they are still on the coral they will appear darker and especially when exposed to air for a bit. When dipping make sure to shake every acro in the dip container to dislodge any aefw before you move it to a rinse bucket. Then give them a good shake in a bucket of fresh tank water. It's easiest to use a tank or bin big enough to dip everything in one shot and move them to another tank or trough to clean any dip at once as well. Shake them in the fresh tank water bin good to dislodge any flatworms that may have not been dislodged in the dip. It will also be easy to see in this tank. Let them all sit in this bin as long as it takes to inspect every acro and find any eggs leftover before you add any back to the tank. It is much easier to see any bite marks after a good dip, somehow they stand out more. Inspect anything with bitemarks vigorously. Once this is complete, move everything back over to the display tank and try to keep them in the same placement as they were previously in order to not stress anything further. Remember stress on acropora is what causes aefw to gain ground and breed. Healthy acros in a healthy tank can live with aefw for a long time without much intervention. A bad infestation can be made easier to treat by basting every acro daily for four or five weeks before you start dipping. Getting the population down while your not dipping anything and letting as many eggs hatch as you can will leave less work for you when dipping later. Do this only if your fish will eat the dislodged flatworms. Not only wrasse will do this but almost any fish. Not feeding as much will help fish take to any floating aefw if your having trouble. Also try making food to get the fish excited before you baste. Feed the fish with a turkey baster by squirting the food in the water in small amounts so the fish have to come up to the baster and get used to it. Once they are used to it squirt a small amount of food into the water before you baste to get fish in the feeding mood. Also if anyone needs help getting rid of aefw or red bugs please send me a pm and I will do everything I can to help. Interests:Ceramics as a hobby, Reef Keeping, Cooking, Electronics, Music, Movies. Is there a dip for Vermetid snails? Fenbendazole will kill vermetid snails as well as some nuisance soft corals like sympodium. You may be able to use it as a dip, but I don't know how long the dip would have to be to be effective. I also doubt that a fenbendazole dip would work on vermetid snail eggs. I think people use it as a whole-tank treatment. It kills other things too, so there are limitations. I’m having an outbreak!! What’s the best cure?? Going to turn down my light schedule. Is there a better or more effective solution? Outbreak of what? It doesn't look like flatworms, redbugs or nudibranchs (the topic of this thread). It looks like common cyanobacteria on the sand. Is that what it is?